Spiegel provides professional services to help clients improve profitability, increase net worth, minimize tax liabilities, and comply with counterparties and regulators. Spiegel is a full-service certified public accounting firm with particular focus in the mortgage banking and private equity lending and real estate industries. A trusted name in these sectors, Spiegel provides assurance, tax, and consulting services to businesses of all sizes. We are responsive to our clients’ needs and provide innovative solutions for their business objectives. As a boutique firm, we differentiate ourselves by offering our clients highly personalized service. Our team of industry leaders is dedicated to your business and actively partners with clients to develop forward-thinking solutions. Our mission is to provide the highest level of service and respond to your needs in a timely manner. As recognized private equity professionals, we are actively involved in the California Mortgage Association, American Association of Private Lenders, as well as other organizations, and work tirelessly to improve the industry landscape for private equity platforms.We are industry experts in the private lending industry. Our staff is actively involved with the California Mortgage Association (CMA) and consistently work with the organization to assist in resolving industry issues that impact private lenders. Financial statements provide invaluable information for planning earnings and cash flow, complying with regulatory requirements, and identifying risks before they become problems. Spiegel offers a full range of assurance services, including: audited, reviewed, and compiled financial statements; monthly or quarterly accounting and assistance; and GAAP accounting guidance. willing to be aggressive within tax laws. Our consultancy practice goes beyond basic tax and assurance services. As part of your team, Spiegel can help implement strategies, assist your management team, address new regulations, manage or improve accounting and internal control processes, and work on special projects. By transferring our knowledge, we are able to help you make informed business decisions and contribute to your success. Located in the San Francisco Bay Area, Spiegel is one of the most respected accounting firms in the mortgage banking and private equity sectors. Since 1991, we have established a substantial track record as experts in these sectors by offering tailored strategies and advice to hundreds of clients. We have over two decades of experience working with private lenders, from start-up operations to established private equity players with over $500 million in assets under management. The private equity sector has become increasingly burdened by higher regulatory and documentation standards, and our personal service helps clients to thrive in this challenging environment. Spiegel’s differentiator comes from our ability to strategize with clients and help them make informed, critical business decisions. High-level expertise is crucial in ensuring clear financial information is delivered to investors. Spiegel offers a boutique service tailored toward private equity clients, delivering timely and comprehensive tax, audit and consulting capabilities. As a trusted CPA source for private equity, Spiegel ensures clients’ financial reporting meets the highest standards. At Spiegel, relationships are key. As a small firm, we form close connections with our clients, all of whom benefit from access to tax and audit professionals with many years of industry experience and a high level of expertise. Our team prides itself on a different kind of client service – we are proactive with you. We are highly responsive to our clients needs and believe in open communication at all times. Our team has a shared appreciation for innovative solutions. We undertake problems using a creative approach and develop strategies to enhance your business goals. In our industries of focus, we have networks of specialized experts we can access on behalf of our clients. Simply keeping up with “best practice” is not enough – we help you craft creative plans to get the most out of your business. Clients trust us because we deliver our services with a thoughtful and thorough approach. We’re strong advocates for attention to detail and planning ahead of reporting deadlines for our clients. This allows us to make well-thought-out, trustworthy decisions. By transferring our knowledge to clients, we are able to help them make informed business decisions. 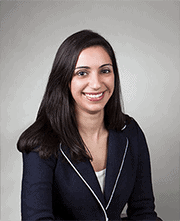 As a Senior Tax Manager at Spiegel Accountancy Corp., Beeta Lecha reviews tax returns and provides strategic and tax savings guidance to our business clients. Our clients benefit from Beeta’s 13 years of public accounting experience and an unwavering commitment to excellence. Before joining the firm, Beeta worked for Armanino, LLP, where she specialized in private lenders and catered to small-to-mid-sized businesses. She worked as an accountant in private business for 4 years before transitioning to public accounting is a testament to her dexterity and comprehensive skill set. Beeta earned her B.S. degree in Business Management Economics from the University of California, Santa Cruz. She is a licensed California CPA and a member of the American Institute of CPAs and the California Society of CPAs. Beeta loves spending time with her daughters shopping and watching anime. She also enjoys yoga, Pilates, hiking and traveling. Beeta is also very active with the East Bay Business Network International (BNI) group and enjoys business development. Jeff Spiegel’s distinguished career as a Certified Public Accountant has included positions with Peat Marwick and Deloitte & Touche, two of the largest accounting firms in the world. He went on to establish his own firm in 1990 to better meet the needs of his clients. Jeff’s experience covers the full range of tax, accounting, audit, and consulting services. His professional style is to maintain a high-level of visibility and interaction with his clients throughout the year to stay abreast of developments within their companies that affect their financial picture. Throughout his career, Jeff has specialized in providing services for individuals and small businesses in a wide variety of industries including financial services, real estate, investment partnerships, professional service firms and e-commerce. Jeff has published articles on various tax topics and business practices and is a frequent speaker on various tax, accounting, and business topics. 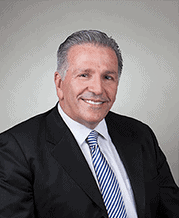 He is actively involved in professional organizations related to specific industries such as the Mortgage Bankers Association, California Mortgage Bankers Association, and the California Mortgage Association. Jeff is a member of the American Institute of CPAs and the California Society of CPAs. He received his BS degree from the University of Arizona and is a Certified Public Accountant in the states of California, Colorado, Connecticut, Oregon, Nevada, Texas, Washington, and Washington DC. In his spare time, Jeff likes to travel and exercise. He loves sporting events and is an avid Golden State Warrior fan – you’ll find him at almost every game. He also likes to hike and spend time with his colleagues and friends. Henry Chavez works with growing organizations, serving as a strategic resource for their growth and success. In a public accounting career spanning over two decades, Henry has provided assurance and business consulting services to privately held businesses in the financial services, manufacturing and distribution, technology, and non-profit sectors. Before joining Spiegel Accountancy Corp., Henry spent 15 years at PricewaterhouseCoopers (PwC), where he provided assurance services as a senior manager, with international clients in banking and manufacturing and distribution. His PwC experience included several years in South America working with various European and North American multi-national firms. Henry graduated with a B.A. from the University of California, Santa Cruz, and an MBA from the University of California, Irvine. He is a licensed California CPA and a member of the American Institute of CPAs and the California Society of CPAs. 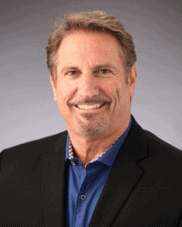 Henry also serves on committees for the California Mortgage Bankers Association, has served as a speaker for the California Mortgage Bankers Association, and provides training courses on financial accounting and reporting issues to the mortgage industry. Henry’s hobbies include cooking, reading, exercising and spending time with his family – his mother, grandmother, two sons and daughter. Mark C. Tribuna, CFO, Venta Financial Group, Inc.
Jeff and his Team at Spiegel Accountancy Corp. have the expertise and comprehensive knowledge of the mortgage industry which is necessary in successfully navigating our highly regulated industry; they go above and beyond the average accounting firm and consistently go the extra mile to get the job done right. Bill Beauchamp, CFO, Paramount Residential Mortgage Group, Inc.
Bank of America Merril Lynch originally recommended our company to Spiegel Accountancy Corp. We added them to the list and after our thorough vetting process of 6 CPA firms, they clearly won. Spiegel beat the competition in all areas of comparability and has proven to be a key component towards our success. Our Banks and Capital Markets partners highly respect their audit and attestation and I am honored to be given the opportunity to recommend them.